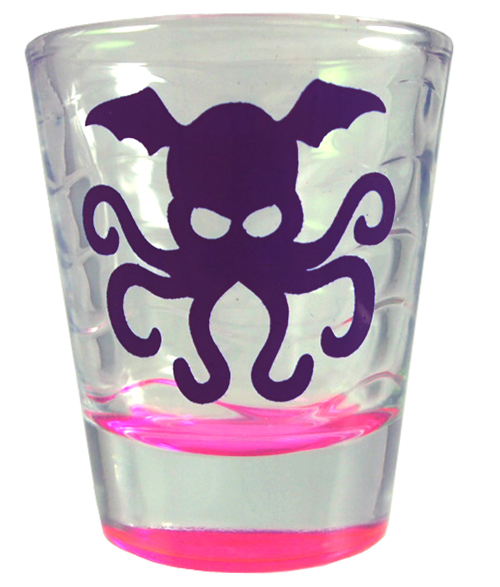 Cthulhu Dice is not a drinking game . 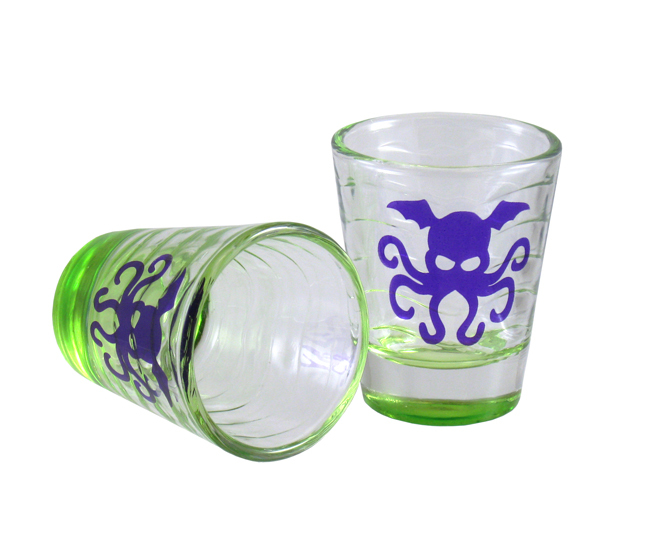 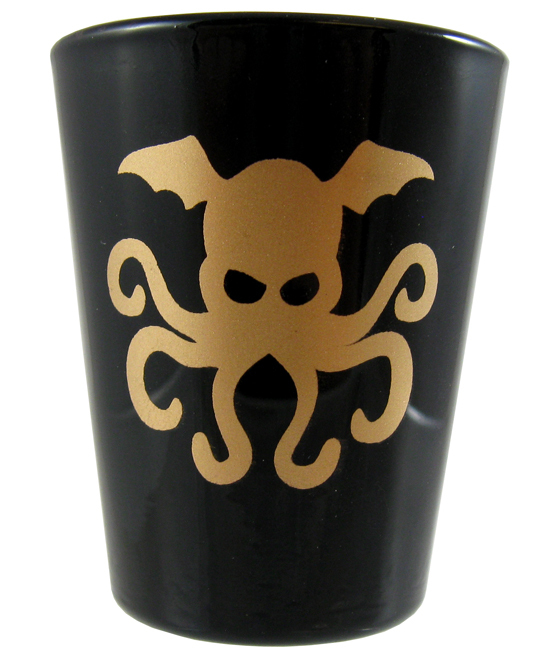 . . but you can drink in style with the Cthulhu Shot Glass. 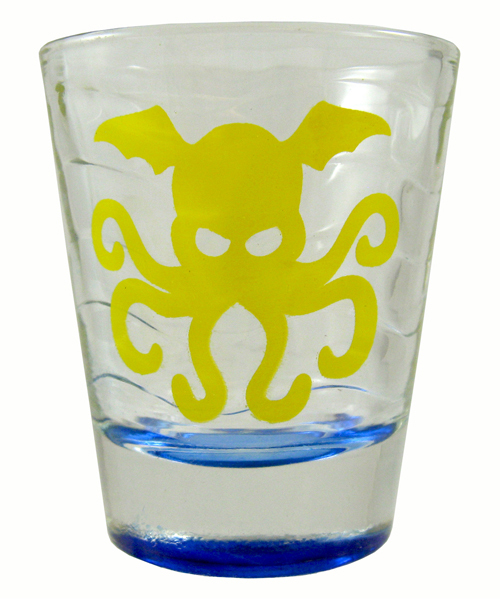 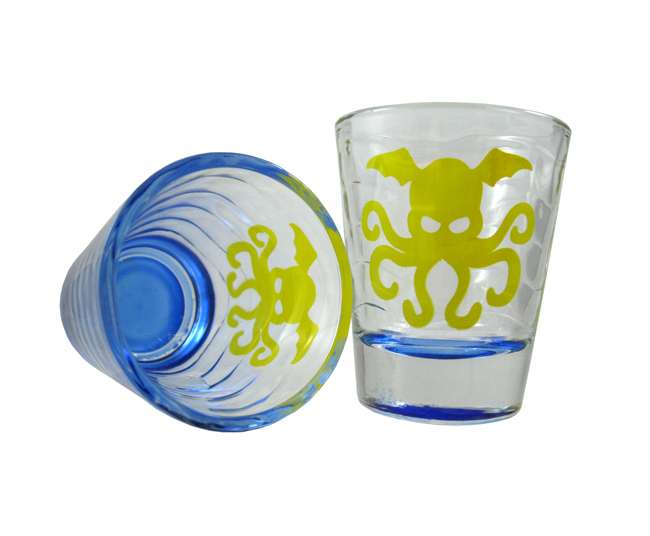 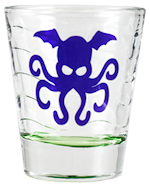 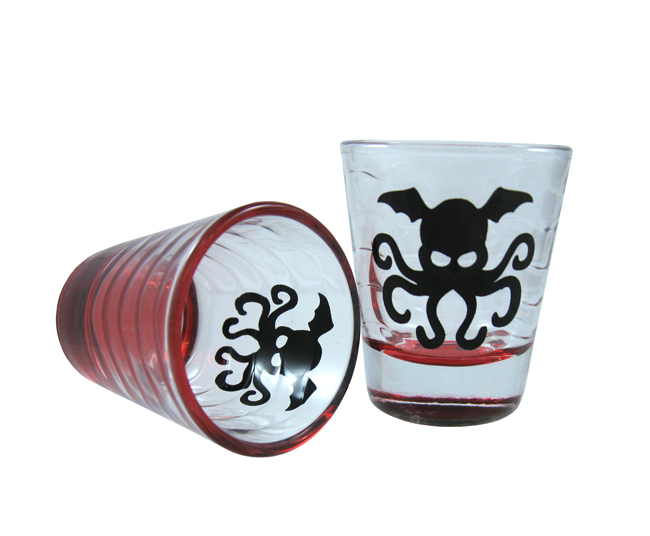 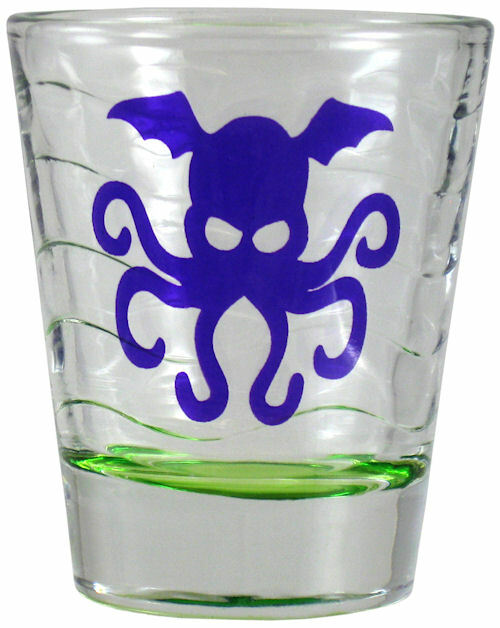 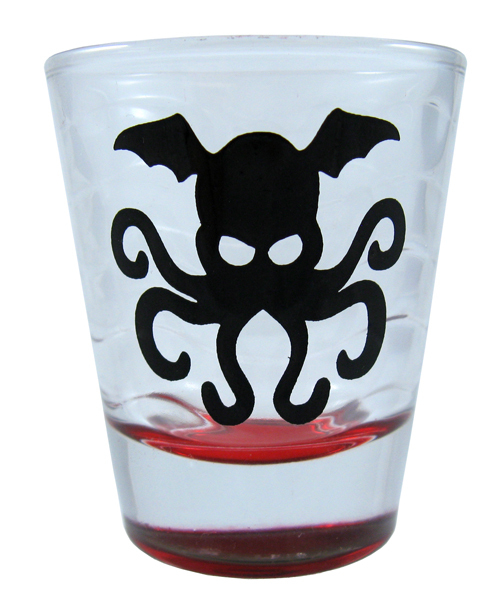 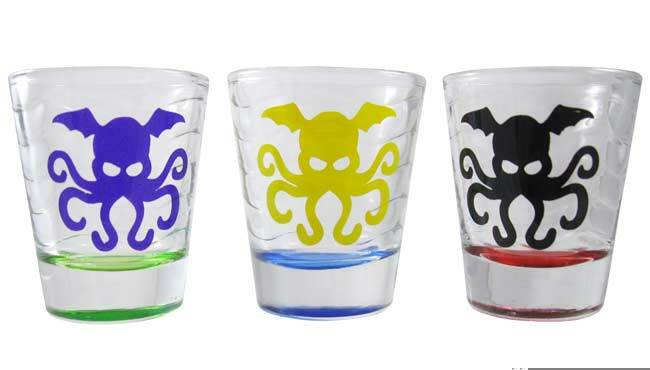 These 1.5 oz shot glasses feature various colors and great Cthulhu staring at you from the side of the glass. 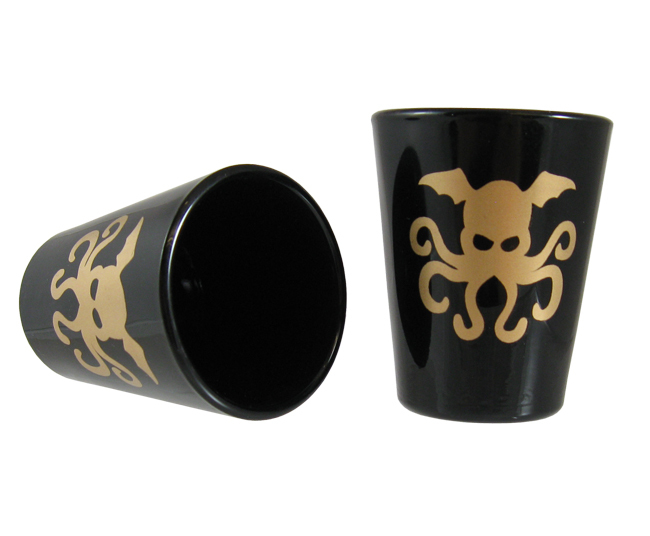 Buy one for yourself and make your friends wonder what you're drinking, or buy a set for your next party so that everyone can go mad together.